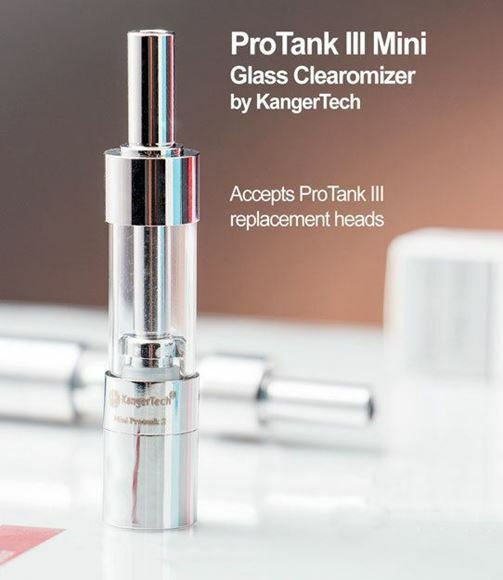 The Protank 3 Mini is the next generation of mini clearomizers from Kanger which looks almost similar to the Mini Protank II, but it has upgraded Dual Coils (exactly same coils which is being used in Protank 3 and Aerotank). This comes with a 1.8Ω dual coil. and provides better vapor production as well as better flavours. Ok, So whats new in Protank Mini V3? The Mini Kanger Protank V3.0 is a glue-free and fully disassemble-able eGo Clearomizer! You can see the clear difference in quality of this product.